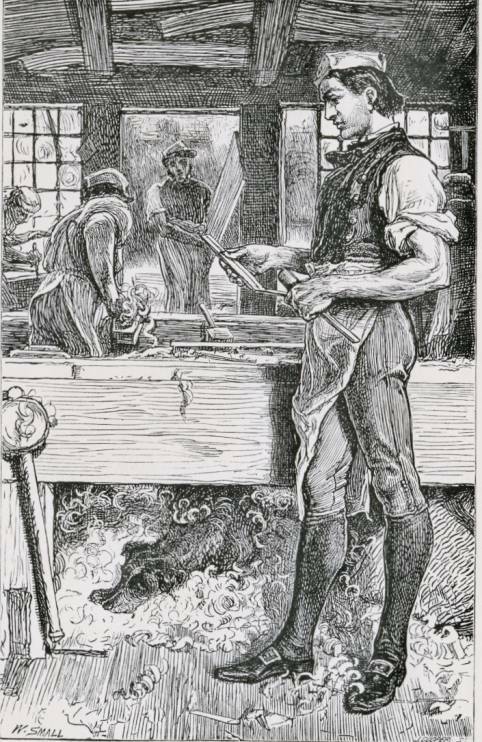 Small's best work appeared in periodicals such as Good Words and the rare Argosy. His designs for both of these show a sensitive awareness of psychological drama combined with a strong emphasis on telling gesture. The sheer emotionalism of the some of the work can be impressive. 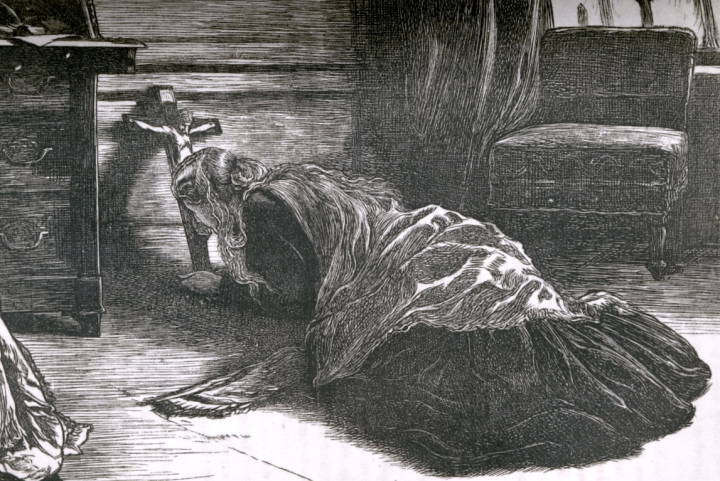 In his illustrations for Reade's 'Griffith Gaunt' (The Argosy, 1865-56), he demonstrates his capacity to visualize the characters' inner turmoil, enhancing the author's effects by developing what is only implied in the text. 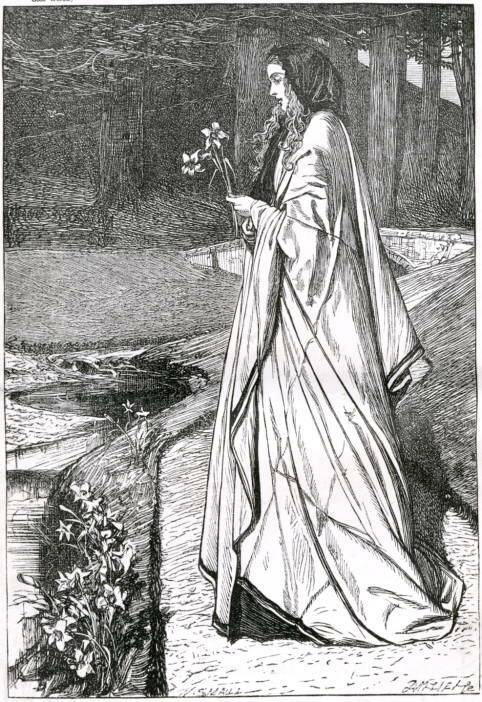 On the other hand, Lilies, which appeared in the 1866 Good Words, depicts a contemplative figure contained in a moment of reverie. Again, the body is used as the malleable site of expression. Indeed, one of Small's principal strengths is his capacity to avoid conventionality and find a visual solution which seems psychologically convincing. Following his work for The Graphic in the seventies he began to lose consistency. Nevertheless, his style is most tellingly exemplified in his little known designs for Blackwood's re-issue of Eliot's Adam Bede (undated, mid 1880s). Small convincingly represents the characters' inner lives, creating pictorial equivalents to Eliot's elaborate text which make her characters into the very prosaic types she was trying to create. Produced late in his career, his interpretation of Eliot again reveals his sensitivity to the nuance of literary texts. Spreading his activity over a wide range of publications, Small could have been one of the outstanding illustrators of his time. It is a pity, as Goldman remarks, that few 'commissions of this kind' were 'put his way' (142). Unfairly condemned for changing styles and outliving the 'golden age of illustration', William Small is a major designer whose work is badly in need of a modern reassessment.